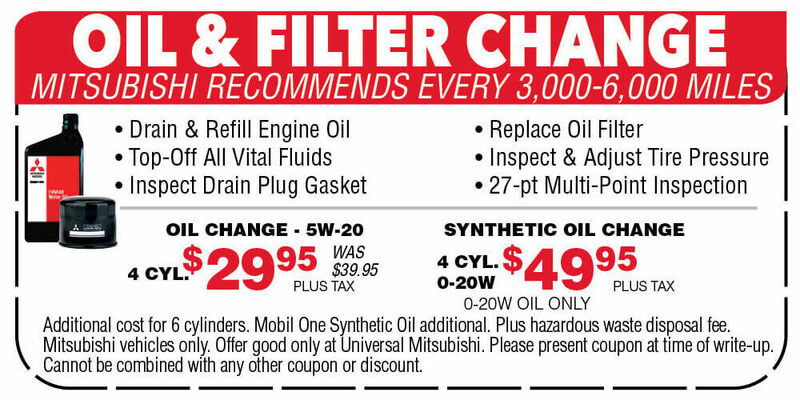 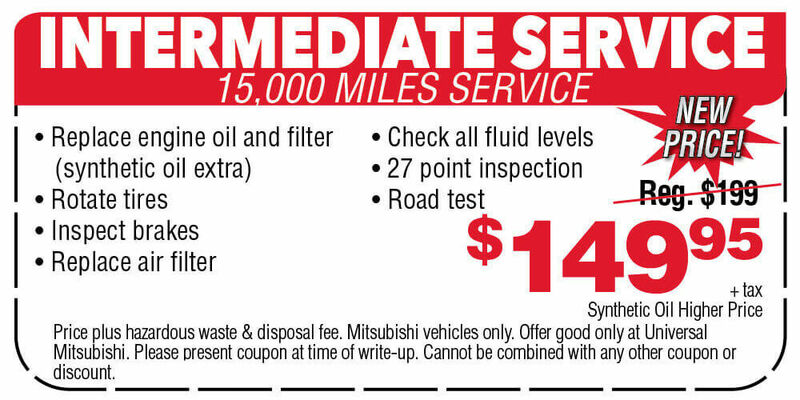 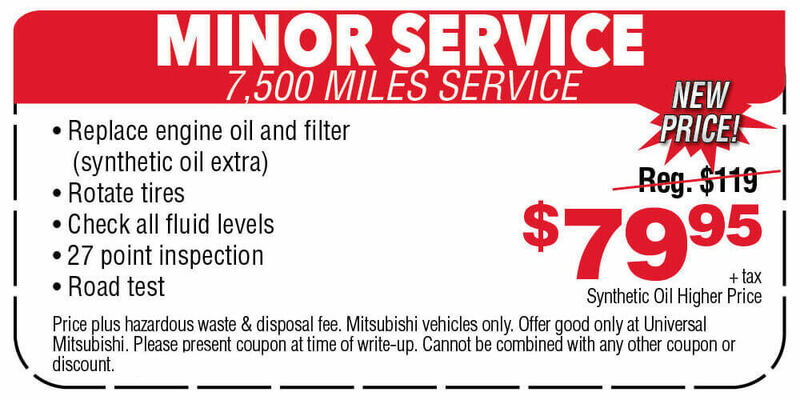 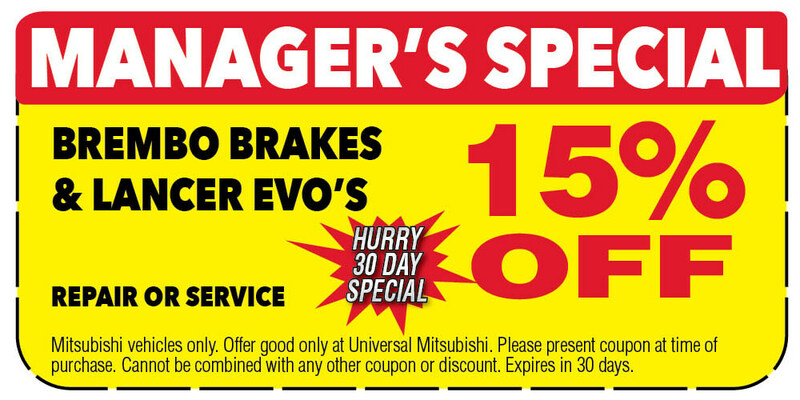 Get a great deal when you opt to service your vehicle with the auto repair experts at Universal Mitsubishi! 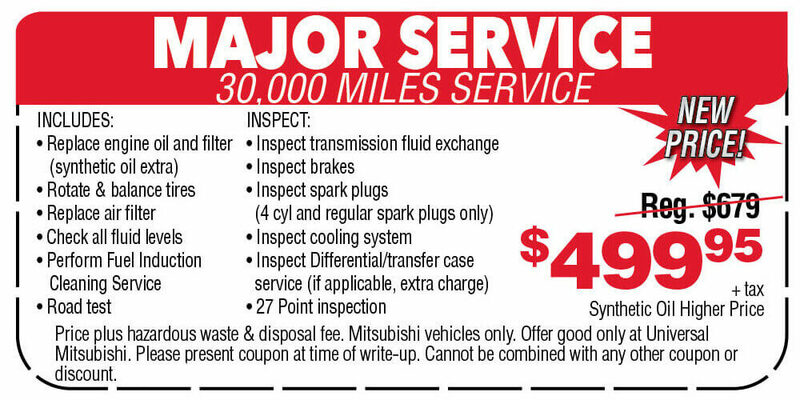 Our skilled technicians have years of experience working on Mitsubishi models like the Mirage, Lancer, Outlander, and more, and we're also fully capable of servicing other makes and models, including any used cars you might have purchased at our dealership. 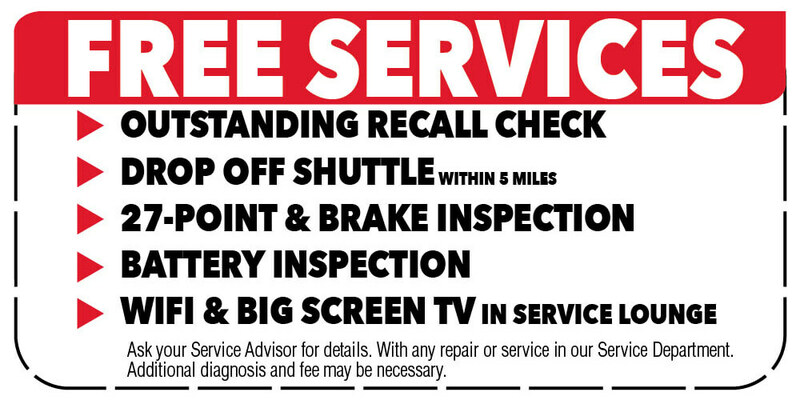 Do your own auto repairs? 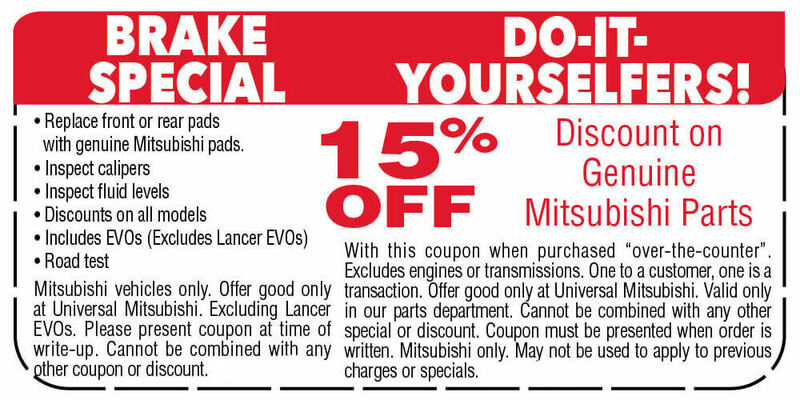 Check out our genuine Mitsubishi parts for sale, and take a quick glance at our parts specials. 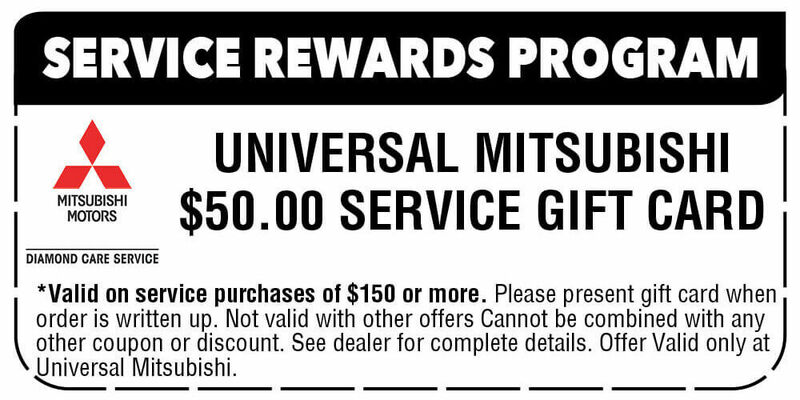 We fully support your independent work on your Mitsubishi, and we are proud to offer you top-quality car parts to get the job done.